Cornell earned All-Ivy accolades at a total of nine different weight classes. Eight earn first team honors for the 2009-2010 season. Lewnes and O’Connor named Co-Wrestlers of the year; Dake named rookie of the year. ITHACA, N.Y. — For the second consecutive season, Cornell wrestler Mack Lewnes earned Ivy League Wrestler of the Year and joined seven classmates as unanimous selections to the All-Ivy first team, including Rookie of the Year Kyle Dake, when the conference announced the award winners on Thursday afternoon. 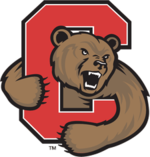 Cornell earned All-Ivy accolades at a total of nine different weight classes.